The Summer of 69: A Celebration of Woodstock is coming to Rider on Feb. 15 and Feb. 16 at 7:30 p.m. and on Feb. 17 at 2 p.m. 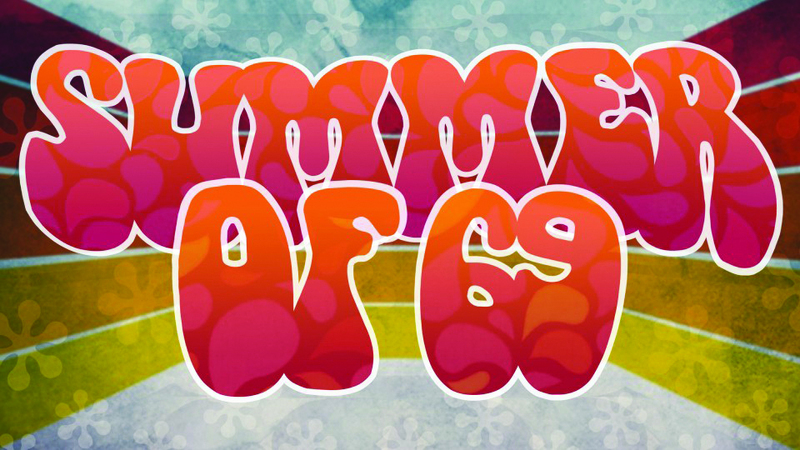 Attempting to capture the essence of the late 60s as a time period with more than just hippies, tie-dye colors and the merging of music genres, “Summer of 69: A Celebration of Woodstock,” a musical cabaret focused on the music and styles of the 60s, is coming to Rider. With all the fighting and restlessness that occurred, the purpose of Woodstock was to give people a musical escape for peace and unity and resultantly became a major icon in pop culture. After switching from venue to venue, the decision to have the concert on a dairy farm in Bethel, New York came about when Max Yasgur, a 49-year-old farmer, offered up part of his property. The concert became free for the audience when it became obvious that preparations for ticket booths and fences would not be ready in time, especially since the gates were already being knocked down by the stampede of people. There was also a free food kitchen, a playground for children and a tent to help anyone who became ill. Despite the chaos with the crowds, apparent inclement weather and combative time, Woodstock was successful and its legacy is coming to Rider’s stage. Producing artistic director of the professional summer theater The Forestburgh Playhouse, Franklin Trapp is directing “Summer of 69: A Celebration of Woodstock.” Trapp has been directing for the past six to seven years, five of which have been at the playhouse, located in Forestburgh, New York in the Sullivan Catskills. Trapp said it was appropriate that Rider will be performing the cabaret at this time, being that it is the 50th anniversary of Woodstock. “We are going to present a big variety of the music that was performed at Woodstock and also show a lot of the really important themes that are still relevant today,” Trapp said. The audience can look forward to an incredible, refreshing trip down the playlist of Woodstock, including instrumental performances. “People will be amazed to see the connections between 1969 and today, why events like Woodstock are important and why music feeds our souls and helps create change,” Trapp said. Senior musical theater major McKenna Woodlan is one of the performers in the musical. Outside of Rider, Woodlan is no stranger to the world of music and dance. Her mom owns a dance studio in her home state of Texas. “I’ve been dancing my entire life and I love to dance, but something was always missing,” Woodlan said. When she was 7-years-old, Woodlan was cast as the fork in “Beauty and the Beast” and that was when she knew musical theater was for her. She was very excited for the Woodstock performance given all it has to offer her. The performers’ outfits will be inspired by the year of 1969, but a lot of the students will be wearing their own clothing and jewelry, with the goal of putting themselves into the show. The event will feature music by Jefferson Airplane, The Who, Jimi Hendrix, Janis Joplin and more. “Summer of 69: A Celebration of Woodstock” is free admission and will take place in the Spitz Theatre on Feb. 15 and Feb. 16, both at 7:30 p.m., as well as on Feb. 17 at 2 p.m.